Where I go to get information about programs offered at each campus? Where I can get assistance if I am a Veteran, Active Duty, or in the Reserves or Guard? This is a short description about this page. Louisiana Delta Community College is a member of the Louisiana Community and Technical College System (LCTCS). This publication contains existing policy and procedure information obtained from the appropriate College officials and is intended to be complete and accurate; however, the College reserves the right to make administrative and policy changes regarding any information contained in this publication without prior notice. In addition, information contained in the publication shall not constitute a binding agreement on the part of the College. For the most up-to-date policies and procedures, please consult our website. It is the policy of Louisiana Delta Community College not to discriminate on the basis of race, color, religion, sexual orientation, national origin, age, political belief, disability, marital status, or veteran’s status in admission to or participation in, its programs and activities as set forth in compliance with federal and state statutes and regulations. Louisiana Delta Community College does not discriminate in its hiring or employment practices. 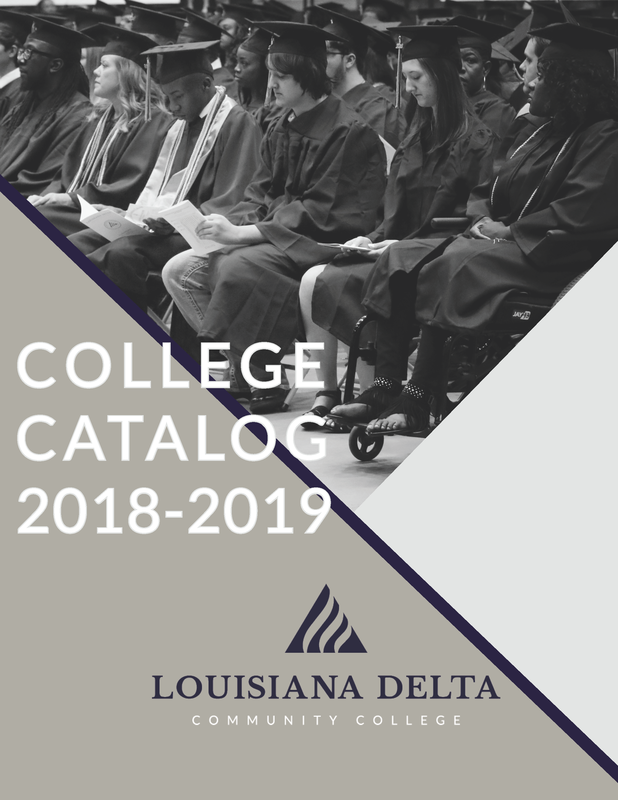 All catalogs © 2019 Louisiana Delta Community College. Powered by the Acalog™ Academic Catalog Management System™ (ACMS™).